Mix all ingredients together. 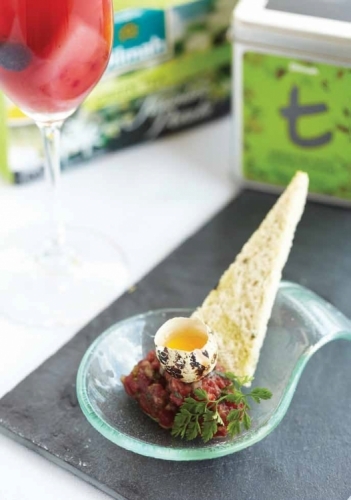 Serve 250g diced wagyu meat (neck) with quail egg yolk on top. Brew Dilmah t-Series Green Tea with Jasmine Flowers and leave aside till cooled down. Mix all ingredients in dough mixer and mix for 25 minutes. Put into tin loafs and let improve for 45 minutes in warm area (cover with wet cloth to maintain moisture).